Wigwams and Hobbit Houses | Keeps Me Out Of Mischief! We’re back! We had a fab holiday in Scotland. We tend to pack up the car with our tent and clothes and see where the weather takes us. We had a vague idea of driving up to Scotland this year and visiting some whiskey distilleries for him and wool and craft workshops for me. We’re also fans of not booking anywhere and following our noses as something interesting comes along. We managed to drive around 1230 miles, visit 3 distilleries and stay in 1 hobbit house and 2 wigwams. We saw some stunning scenery and loved Skye. Unfortunately there weren’t many craft workshops open; the Scottish holiday season was already coming to an end, their children have already gone back to school and places had already begun to shut up for the off season. Fortunately this worked in our favour when we needed to book somewhere to stay for the night. We only ended up camping for one night, but unfortunately this was the night it decided to rain and get really cold, so we were back to a wigwam the following night! We’re really converted to the idea of staying in wigwams and hobbit houses, they were so warm and really cheap, generally working out at about £30 a night. We’re now looking for some closer to home so that we can just pop off for the weekend to escape! They were! Really warm and cosy too! Could you please share where the wigwams and hobbit houses were? That looks exactly like what we would like to do on our holidays! Maybe not once it’s getting towards winter, but definitely next year! 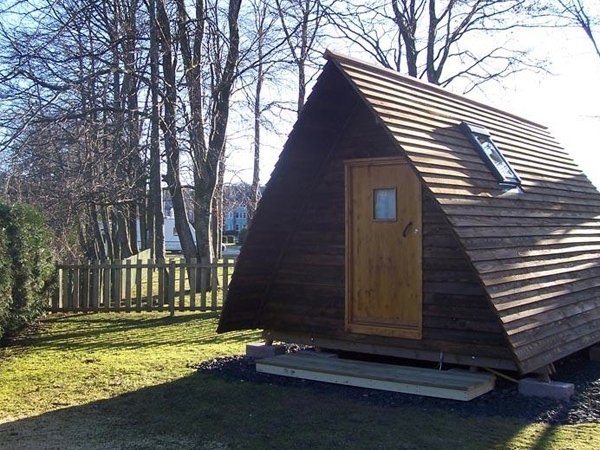 Have a look at http://www.wigwamholidays.com for the wigwams and http://www.visionarymedia.co.uk/ for the hobbit houses. There’s lots of links on these sites. http://goglamping.net/ has lots of alternative ideas. Have fun! Thanks! I had no idea there were so many! I refuse to camp properly but I think I could be tempted by one of these. I feel like I’m getting too old to camp properly – I do like my home comforts! With your blog name, you’d think you’d like camping! Glad you enjoyed your stay in one of our Hobbits. It makes it all worthwhile when people like them. It was fantastic! Very cosy and well equipped, we definitely plan to stay longer next time. I have dreams of putting one in the back garden!